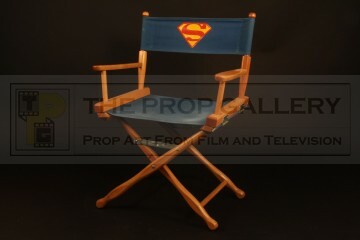 An original directors chair from the production of Lois & Clark: The New Adventures of Superman, the 1990s television series starring Dean Cain and Teri Hatcher. 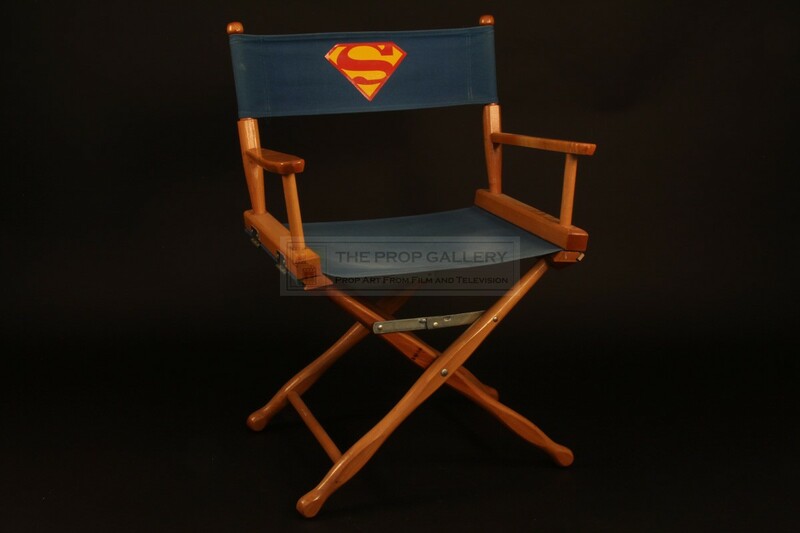 This directors chair was utilised on set during the production of the series, the traditional style folding chair is constructed from wood and features a striking seat and back of blue canvas. 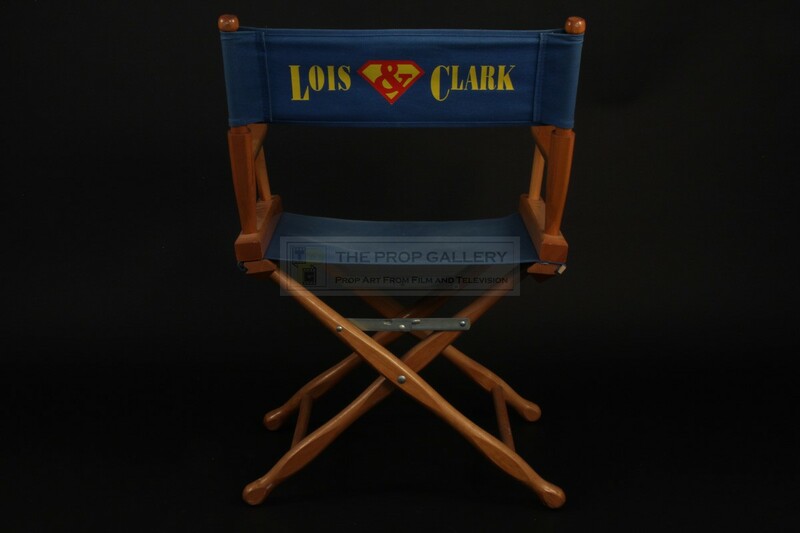 The chair back features the name of the series 'LOIS & CLARK' to one side and the iconic red and yellow Superman logo to the other. 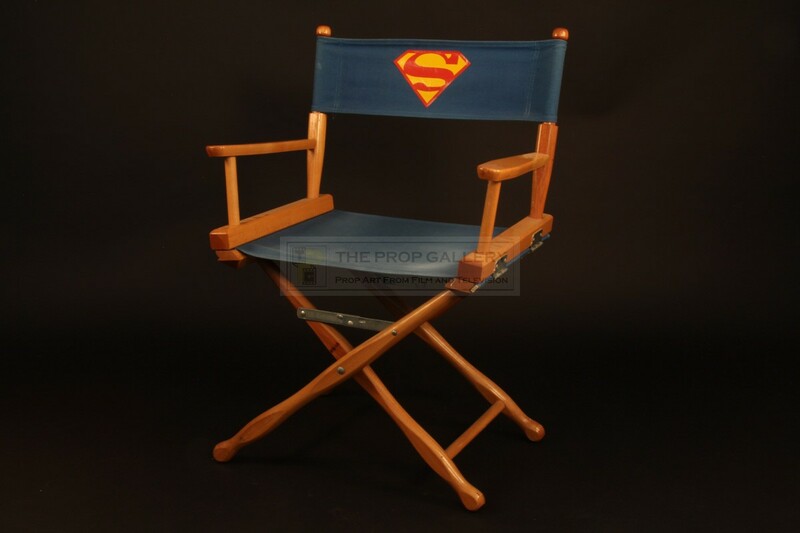 The chair stands approximately 34" high and measures 24" across the arms, it remains in excellent production used condition with some minor wear to the seat, generally fine. 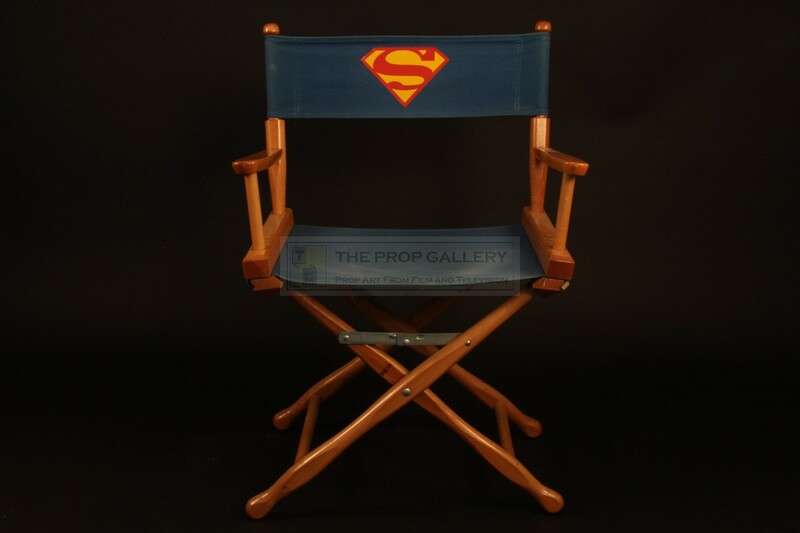 A highly displayable artefact from this popular series and a fine example of an original directors chair, an image synonymous with the film industry.